I think that if you really want to know about a person, you should look at the place where they cook. It’s simple, really. In any house, the kitchen is likely to be the most expensive thing that a person invests in, and it’s also likely to be the single room that gets the most thought, because it needs to be practical, functional, hygienic and easy to manage, but increasingly, people want to see their kitchen as the focal point of their house, as a place where they relax and unwind, where they eat and talk and laugh and cry. A kitchen is more than just a place where food gets prepared, it’s a place where people live, in the truest sense of the word. It’s a place that they inhabit, and it should be designed around them, so that it works with them. This means that the task of designing and building a kitchen is often one of the most daunting things anybody ever does to their house, but most people, me included, can’t see past the design that’s already in place. The sink is there, so the new one has to go there, too. It’s just a lack of vision, or perhaps it’s about being too close to something to see how it could work differently – something a good kitchen designer can work through and turn inside out. Here’s how Magnet do it. They provide a service called ‘Full Circle’, which starts the second you set foot in their showroom. You talk to a designer about what you want, and what you don’t want, and he or she will step through what designing a kitchen actually means, and what can be done in the space you’ve got. The designer is exclusively that – all he or she does is design kitchens, so you benefit from all the tricks and experience that being dedicated to a vital task brings with it, all of the ways to make your kitchen ‘yours’. Ideas complete, everything gets measured up properly, made-to-order, installed and checked. A year later, somebody will be back to make sure that everything is still in order. It’s a start to finish process that takes away a lot of the hassle and injects a healthy dose of expertise. This year, Magnet have got a few tricks up their sleeves. They’re launching a couple of really quite neat additions to their list of options that intend to solve common problems and make life easier. The first is the Sound Bar, a 100mm vertical unit that fits into a run over overhead cupboards, providing a built-in source of music. 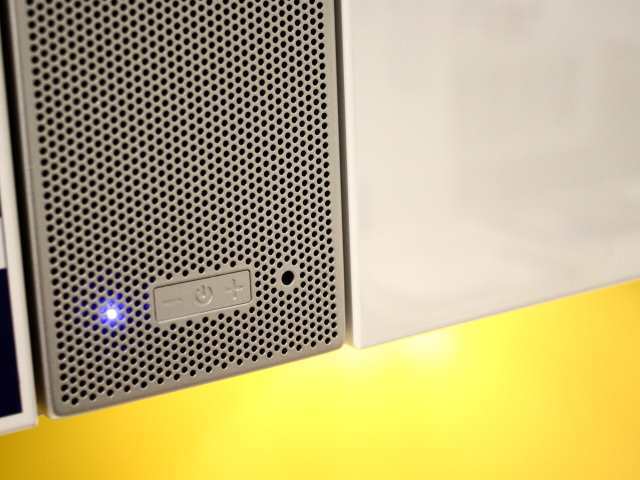 It’s essentially a high-quality, slimline Bluetooth speaker with a smart, magnetically attached speaker grille, but the cleverness of the idea comes in the fact that it uses space that’s almost certainly wasted – many kitchens have small amounts of spare space where standard width cabinets don’t quite fit to the actual size of the room, space that’s normally filled with blanking plates. Adding up these gaps could well give enough space to slot in a Sound Bar and give the kitchen a bit of a lift. There’s the added advantage that the ubiquitous kitchen radio can be moved out and a some counter space retrieved. Another excellent idea is the illusion sink, a sink especially designed for smaller spaces, where every square inch is at a premium. With this sink, the taps push down to below the level of the work surface, and a moulded cover fits over the entire sink, making it effectively disappear – excellent if there’s very little space available. These are neat little ideas, things that help to personalise a kitchen for the people who live in it, and this is a vital point – a kitchen, more so than any other room in a house, has to work, it has to be right. It’s worth spending the time to get things right, and to take advantage of some of the innovations people like Magnet are coming up with these days. Magnet provides a flexible full circle service that includes a smart design service, a 15 year cabinet guarantee, free home survey and the unique Smart Care service. The Sound Bar system is a system that can not only be incorporated into the Integra Astral Grey kitchen, it can also be fitted with many other Magnet kitchens. 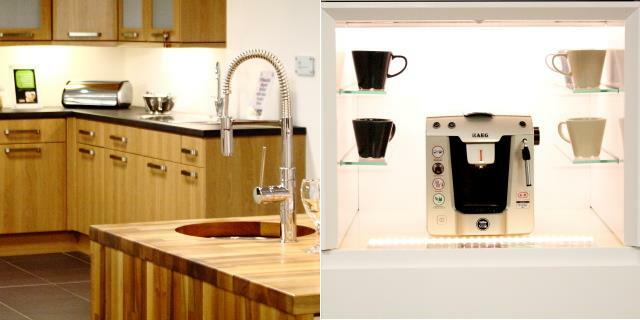 To find out more about Magnet’s range of kitchens or to locate your nearest store, visit www.magnet.co.uk. Disclosure: Compensation was provided by Magnet via Glam Media. The opinions expressed herein are those of the author and are not indicative of the opinions or positions of Magnet.